Movidius, the company that developed the image processing chip behind Google's Project Tango, claimed that its second-generation chip will begin sampling to customers next week. Depending on how you look at it, the new Myriad 2 chip will offer between 5 and 25 times the performance of the first-generation chip, David Moloney, the co-founder and chief technical officer, said in a presentation at the Hot Chips conference on Tuesday. The new chipset delivers 20 times more processing efficiency in terms of computations per watt of power consumed, the company said. One way to think of Google's Project Tango is as a smartphone-powered Microsoft Kinect. 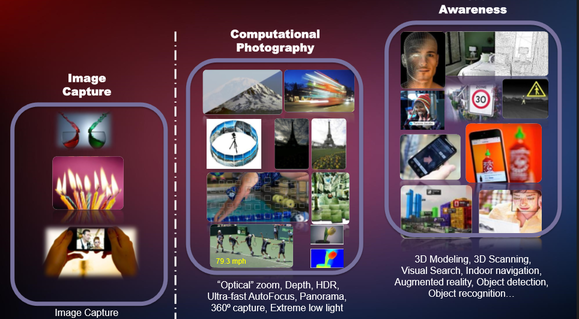 The smartphone "sees" objects through its multiple cameras, which the image-processing chip interprets as 3D objects—much the same way our two eyes and brain do. Moloney also said that the Myriad family could also be used for so-called "computational photography," where the image chip accelerates autofocus, high-dynamic range, or panorama processing. 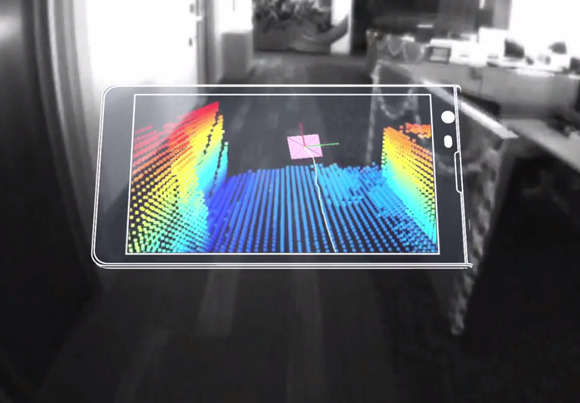 The Project Tango smartphone can use multiple images to create a 3D object, or perform other complex imaging tasks. The Myriad 2 chip can interpret six camera inputs simultaneously, each at 60 frames per second and at full HD quality. Internally, the Myriad 2 consists of 12 128-bit vector processors (Movidius calls them Streaming Hybrid Architecture Vector Engines, or SHAVE), which run at 600MHz. The SHAVE engines talk to more than 20 Streaming Image Processing Pipeline (SIPP) engines, which serve as hardware accelerators. 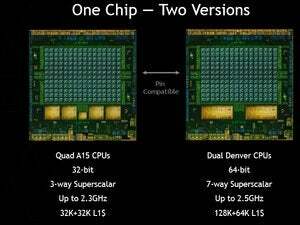 The Myriad 2 chip offers five times the SHAVE performance of the Myriad 1, and the SIPP engines are 15 to 25 times more powerful than the first-generation chip, Moloney said. The chip itself is relatively tiny—just 6.5 mm on a side, meaning it can squeeze into a variety of mobile platforms. It can work either as a standalone processor, or as a vision coprocessor to a device that already has an application processor, such as a mobile phone. "It's our belief that you'll see the VPUs, vision processing units, become to visual computing what GPUs are to graphics," Moloney said. This story has been updated to reflect an editing error that mischaracterized the SHAVE clock rate.